Recently of Storm Village and formerly of Wynter Street Taree. Passed away peacefully on Friday 1st March 2019. Beloved husband of Rita and Mary (both dec). Loving father of Lorna & Chris, Patricia & Neville, Margaret & George, Douglas & Lois, Phillip & Andrea and Graham & Lindy. 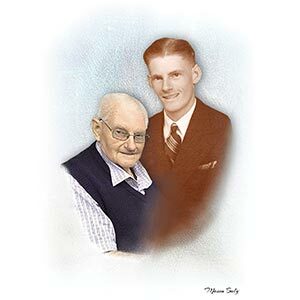 Devoted Grandad to his many grandchildren and great grandchildren. A special man in the lives of Rita’s family. Will be dearly missed by all his family and friends. The relatives and friends of the late Mason Baly are respectfully invited to attend his funeral service at the Gospel Hall, 29 Wynter Street Taree, commencing at 10.30 am on Thursday 7th March, prior to his interment in Dawson River Lawn Cemetery. Donations in lieu of flowers to Care Flight would be warmly appreciated.